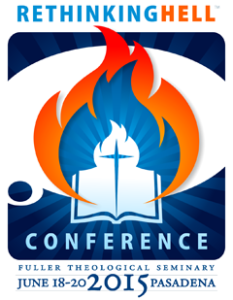 I am totally jazzed to be part of the 2015 Rethinking Hell Conference, this year held on the campus of Fuller Theological Seminary in Pasadena, California. Here’s the details. Let me know if you’re going, I’ll be, ahem, on staff ;). Never hurts to know somebody :D.
The second Rethinking Hell conference will be held on June 18-20, 2015 on the campus of Fuller Theological Seminary in Pasadena, California. The theme of the conference will beâ€œConditional Immortality and the Challenge of Universal Salvationâ€ and will be an occasion for evangelical conditionalists and traditionalists to engage with the views of universalists. The plenary speakers will be Chris Date (conditionalism), Robin Parry (universalism), Jim Spiegel (conditionalism), Oliver Crisp(traditionalism), David Instone-Brewer (conditionalism) and Jerry Walls (traditionalism). There will also be a number of breakout sessions, along with a final panel featuring the plenary speakers. Read more at the Rethinking Hell Conference site.